Being prepared is the first step to staying safe in the outdoors. Before venturing out on your trip, spend some time researching the potential hazards of terrain, weather, and wildlife that you might encounter, and pack items that will promote your safety and comfort. Know first aid: On a casual family outing, at least one responsible adult should be skilled in first aid. Manual skills such as mouth-to-mouth breathing, cardiopulmonary resuscitation (CPR) and the application of bandages and splints, should be practiced beforehand. Become familiar with the rescue techniques pertinent to the environment in which you will be traveling. Carry the right equipment: Be prepared for foul weather conditions. 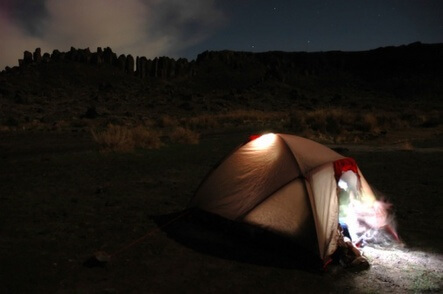 Always assume you will be forced to spend an unexpected night outdoors. Carry warm clothing and waterproof rain gear. Carry survival equipment such as maps, a GPS or compass, waterproof matches, a knife, nonperishable food, a flashlight and first-aid supplies. 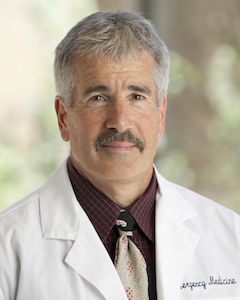 Dr. Paul S. Auerbach, FACEP, FAWM, is the Redlich Family Professor of Surgery in the Division of Emergency Medicine at Stanford University School of Medicine. He is the world’s leading medical expert on wilderness medicine and a prolific author.